As a postdoctoral research scientist at Johns Hopkins University, I've been working jointly with the Knierim laboratory at the Mind/Brain Institute and the Zhang laboratory at the Biomedical Engineering Department. 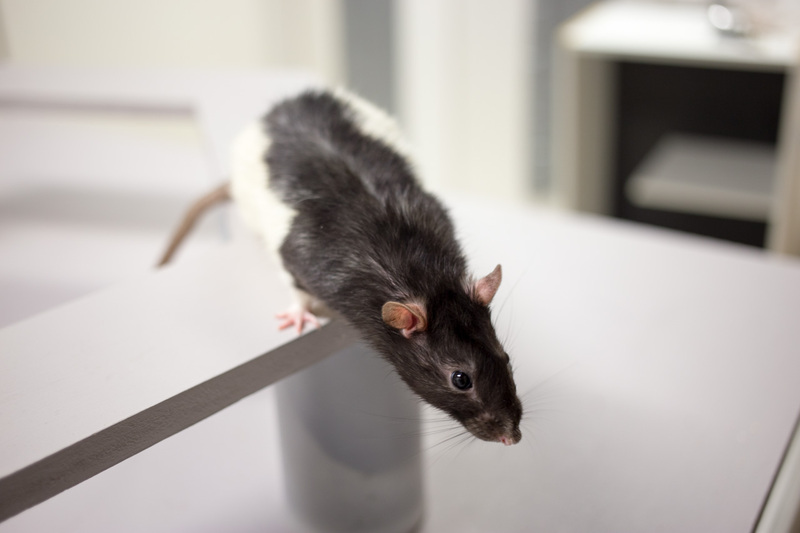 The Knierim lab uses in vivo electrophysiology in rats to study neural representations of space in the hippocampus and associated brain areas while the animals explore new and familiar environments. Further, I develop computational models in collaboration with the Zhang lab to study the neural network circuits underlying spatial information processing in order to provide complementary insight into the recording data. Monaco JD, Blair HT, and Zhang K. (2017). Spatial theta cells in competitive burst synchronization networks: Reference frames from phase codes. bioRxiv. doi: 10.1101/211458. Abstract Spatial cells of the hippocampal formation are embedded in networks of theta cells. The septal theta rhythm (6—10 Hz) organizes the spatial activity of place and grid cells in time, but it remains unclear how spatial reference points organize the temporal activity of theta cells in space. We study spatial theta cells in simulations and single-unit recordings from exploring rats to ask whether temporal phase codes may anchor spatial representations to the outside world. We theorize that an experience-independent mechanism for temporal coding may combine with burst synchronization to continuously calibrate self-motion to allocentric reference frames. Subcortical recordings revealed spatial theta cells with strong rate-phase correlations related to distinct theta phases. Simulations of bursting neurons and networks explained that relationship and, with competitive learning, demonstrated flexible spatial synchronization patterns when driven by low-dimensional spatial components from the recording data. Thus temporal coding synchrony may reconcile extrinsic and intrinsic neural codes. F1000Prime: Moser E and Rowland D: “This exciting study finds an unexpected relationship between exploratory head scanning behavior and the development of new place fields in the rat hippocampus…” Faculty of 1000, May 12, 2014. F1000Prime: Maler L: “This elegant and original study has demonstrated a strong link between the neural activity of hippocampal pyramidal neurons (PNs) during head scanning behavior and their subsequent acquisition of a new place field…” Faculty of 1000, April 10, 2014. F1000Prime: Giocomo L, Moser E: “This paper presents an interesting computational model which utilizes grid-cell modularity to generate robust remapping…” Faculty of 1000, June 29, 2011. Abstract The hippocampus is thought to have a critical role in episodic memory by incorporating the sensory input of an experience onto a spatial framework embodied by place cells. Although the formation and stability of place fields requires exploration, the interaction between discrete exploratory behaviors and the specific, immediate and persistent modifications of neural representations required by episodic memory has not been established. We recorded place cells in rats and found that increased neural activity during exploratory head-scanning behaviors predicted the formation and potentiation of place fields on the next pass through that location, regardless of environmental familiarity and across multiple testing days. These results strongly suggest that, during the attentive behaviors that punctuate exploration, place cell activity mediates the one-trial encoding of ongoing experiences necessary for episodic memory. We previously examined the relationship between place-field potentiation, a form of rate remapping, and head scanning behavior . Here we investigate whether there is a similar interaction between head scanning and the formation of de novo place fields when the animals are first introduced to a completely novel environment. Place fields recorded in novel rooms  demonstrate both onset and, in some recordings, additional post-onset potentiation related to colocalized scanning activity on the prior lap.